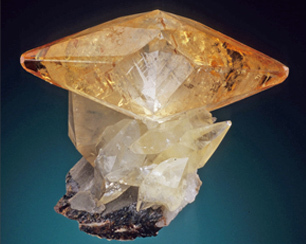 In 2005, during a mineral symposium at Harvard University, an idea was born that would forever change how people view minerals. The idea was to create a place and time where an exhibit of the greatest minerals from all across the United States could be seen. This would be an exhibit the likes of which the world had never seen. 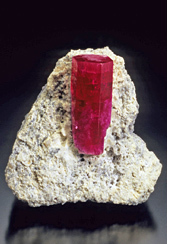 Three years later, the 2008 Tucson Gem & Mineral Show* exhibit, American Mineral Treasures, was created. 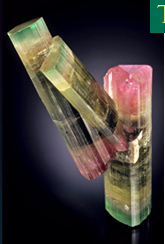 American Mineral Treasures features the absolute finest minerals found in the US from private collectors and some of our country’s finest museums. This first-time-ever collection is gathered in one place for the first, and probably last, time in history. This event cannot be re-created and is one of the most important exhibits ever created for anyone interested in minerals from America. 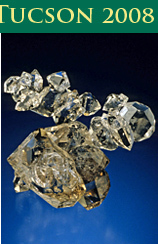 American Mineral Treasures: The Movie is the only authorized and complete behind-the-scenes film that documents and covers everything at the exhibit. And, as an extra bonus, for the first time in history, you will see full and complete coverage of the exhibit set-up and breakdown so you get to see and experience exactly what happens behind the scenes. American Mineral Treasure: The Movie is quite simply the most in-depth coverage of this monumental occasion ever conceived. If you want to re-live your experience at American Mineral Treasures, or enjoy all aspects of the event whether you attend or not, American Mineral Treasures: The Movie is a must have for your collection - order your copy today! owned trademark of the Tucson Gem and Mineral Society.